Hurray! I did it! I made a healthy-like really...actually healthy-thing and Michael liked it and complimented it and had no comments like "yeah it's ok but it would be better if it were sweeter..." etc. 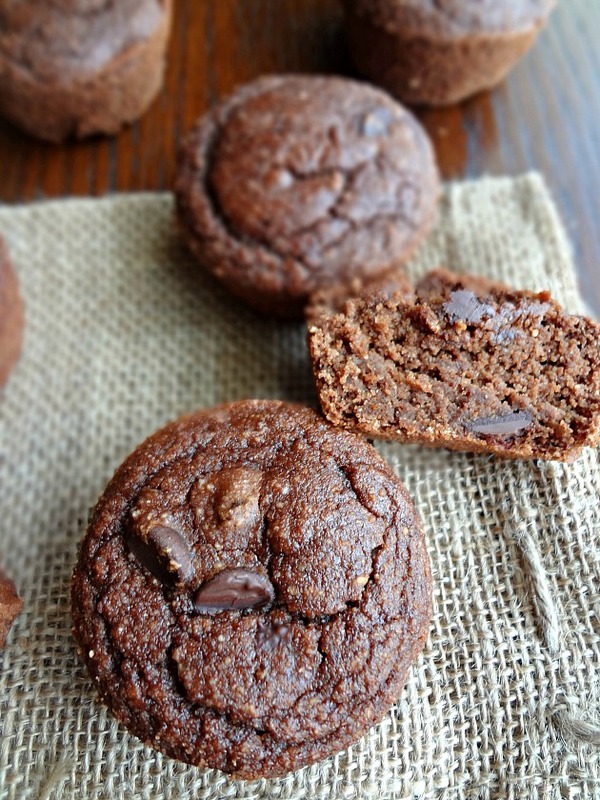 These muffins are that healthy thing. Michael even let one of his co-workers try a muffin and she raved about them. She loved that they're not too sweet but they don't taste like health food either. They're just...good! Which is good becaaaaause....I've got a wedding dress to wear in 10 days! Preheat oven to 350F degrees. Prepare a 12 cup muffin tin (either spray with nonstick cooking spray, line with cupcake liners, or line with cupcake liners and spray the inside of those liners with nonstick cooking spray). Using an electric mixer, beat together the nut butter, coconut oil, sugar, and vanilla. Beat in the eggs, one at a time and then continue mixing for another minute until smooth. Mix in milk on low speed until combined. 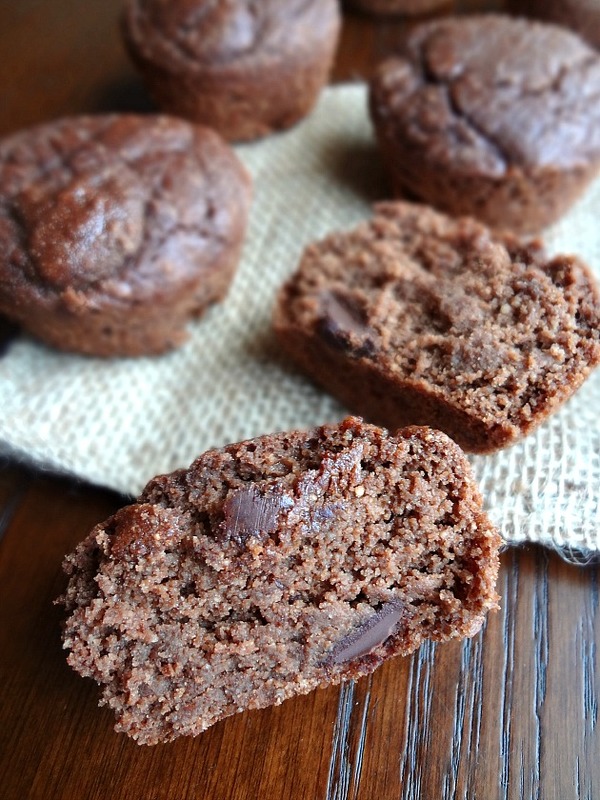 In a small bowl, whisk together the coconut flour, baking powder, and cocoa powder. Slowly add to the wet ingredients and mix on low until smooth. 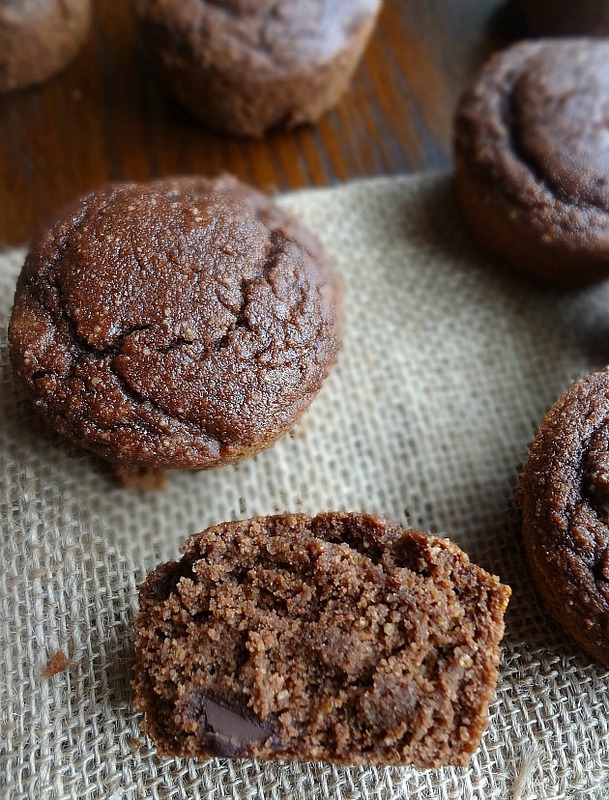 Evenly distribute the batter between the prepared muffin cups. Bake 18-20 minutes, until a toothpick inserted into the center of a muffin comes out clean (crumbs are fine, just not gooey). Let cool for 5 minutes and then transfer the muffins to a wire rack to continue cooling. 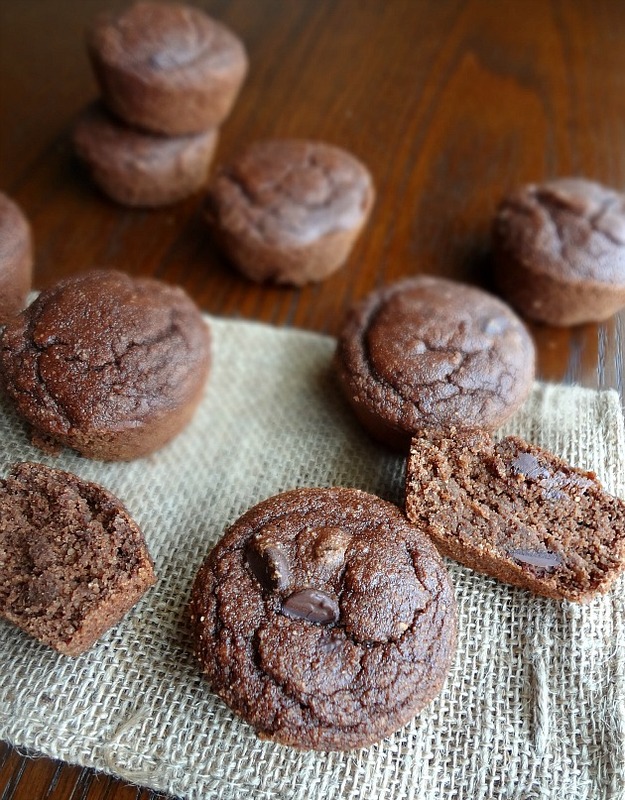 These muffins disappeared far too quickly.